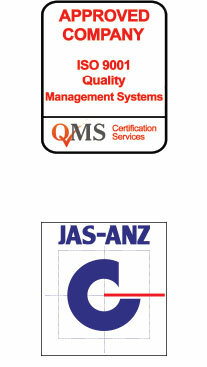 Quality Value - HBP Asia Project Management Ltd.
HBP is a Jas-Anz ISO9001 quality approved company, with systems tailored for operation in Asia. We understand the difficulties asscociated with construction in Asia, recognising the critical need for ‘backbone’ control systems, which can guarantee the objectives set for projects. Obtaining and maintaining ISO9001 accreditaion is a confirmation of our commitment to the customer that a first class service shall be provided jointly by our company, staff, sub-consultants and contractors. Quality management is central to all of HBP’s activities. HBP provides professional Project Management, Design, Cost Management, and Construction Management services to international and domestic clients throughout Aisa. Countries of operation within Asia are currently China, Lao, Philippines, Thailand and Vietnam. “To err is human” – that is why pencils are still produced with an eraser at one end. However, we think it is far better to learn from others mistakes and establish systems and procedures to ensure that error does not occur, or it’s effects are minimised. Quality control in the construction industry is difficult compared to manufacturing because every project is fifferent in terms of location, weather, materials, soil conditions, labour skills ect. We therefore recognise the critical need for ‘backbone’ control systems, which can guarantee the objectives set for the Projects, and be sufficiently flexible to allow adaptation for specific projects and conditions. There are many aspects to quality. At HBP we firmly believe that quality is related to delivery of all project objectives in terms of finished product, cost and time. To control these objectives, HBP have devised and refined specific reporting and control systems complying with ISO 9000 series quality system. At HBP, our quality systems applied are continually reviewed, improved and adapted to individual project types with the aim of guaranteeing the final results for each customer. Through our internal training programmes, all staff and management are given a thorough understanding for the implementation and maintenance of the system and commitment to this policy statement. We issue this statement of a confirmation of our commitment to the customer that a first class service shall be provided jointly by our company, staff, sub-consultants and contractors.